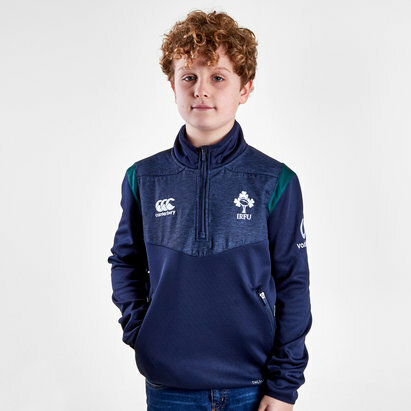 Cheer on Ireland at this year's Rugby World cup when you're out and about, in training or at the Aviva Stadium, make sure you look your best in this Ireland 2019/20 1/4 Zip Rugby Top from Canterbury. 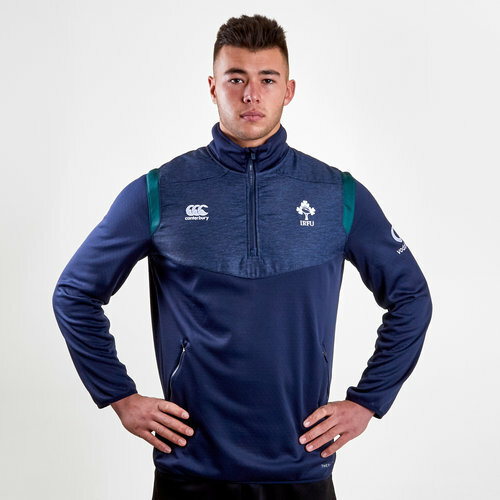 With VapoDri technology to keep you cool and dry, the Ireland VapoDri 1/4 zip top is designed for movement and comfort so you can focus on your workout. 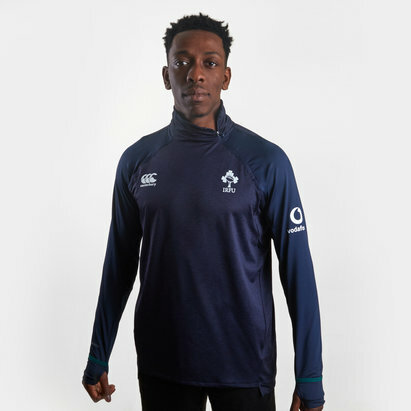 The lightweight fabric with vented side seams ensure a great fit for the rugby physique and allow freedom of movement. This 1/4 zip top is predominantly navy with green detailing. The Ireland Shamrock and CCC logo embroidered onto the left and right, respectively. The team's partner, Vodafone - a collaboration since 2016, is embroidered on the left sleeve.